The cutoff is not permanent, Nauert said, and only affects military assistance. Civilian assistance is not affected. The U.S. State Department announced the decision, saying it reflected the Trump administration’s frustration that Pakistan has not done more against the two groups that Washington says use sanctuaries in Pakistan to launch attacks in neighboring Afghanistan that have killed U.S., Afghan, and other forces. The announcements from the State and Defence Departments followed a public condemnation of Pakistan by President Donald Trump on January 1 for sheltering terrorists. The aid suspension will include equipment and the transfer of security-related funds, with possible exceptions for U.S. national security reasons. Nauert was not immediately able to provide a total dollar amount for the cutoff. “We are still working through the numbers,” she said. “Aid cuts will not hurt us,” Pakistan’s finance ministry head Miftah Ismail told Reuters. There have been hints of a Pakistan aid cut by the Trump administration for months. Later that month, the administration notified Pakistan that it was delaying a payment of $255 million in military aid, pending progress against Haqqani network militants who the U.S. says are based in Pakistan and aid the Taliban. 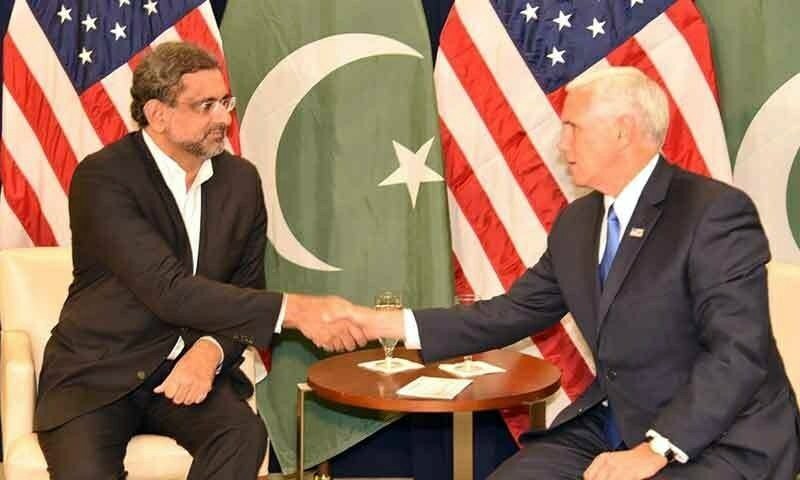 The military aid, known as foreign military financing, “promotes the development of Pakistan’s long-term [counter-insurgency/counter-terrorism] capabilities and improves Pakistan’s ability to participate in maritime security operations and counter-maritime piracy,” according to the State Department. The U.S. Ambassador to the United Nations Nikki Haley told reporters Tuesday that the U.S. would withhold the $255 million payment, saying, “Pakistan has played a double game for years.” That $255 million is included in the suspended aid announced Thursday by Nauert. This is not the first time the U.S. has cut assistance to Pakistan. In the 1990s, Washington imposed aid-cutting sanctions related to Pakistan’s nuclear program and a military coup that deposed an elected prime minister.